Everyone experiences some form of anxiety at some point in their life. Evolutionarily, it is a necessary and adaptive feature for survival. A certain level of anxiety can help raise our arousal levels so that we are able to appropriately respond in high stress situations. However, when anxiety symptoms become so overwhelming that they interfere with our daily functioning, an anxiety disorder may be the source. Anxiety disorders are the most common mental illness in the United States. In fact, 28.8% of adults and 31.9% of adolescents qualify for an anxiety disorder diagnosis at some point in their lifetime (Kessler et al., 2005; Merikangas et al., 2010). This includes individuals with a severe diagnosis who are unable to engage in daily life activities, people with more mild symptoms who can participate in daily events yet struggle with racing thoughts and physical over arousal, and even more individuals that have difficulty sleeping and are seemingly unable to shut off their brains. Of the adults diagnosed with an anxiety disorder, less than 50% of them are receiving treatment (Wang et al., 2005). Perhaps just as concerning is that of these individuals receiving treatment, less than half of them are only receiving minimally adequate treatment (Wang et al., 2005). So, what do we do about all of the individuals out there unable to sleep, shut off their brains, or enjoy life due to untreated anxiety symptoms? Neurofeedback may be able to help lesson these symptoms. 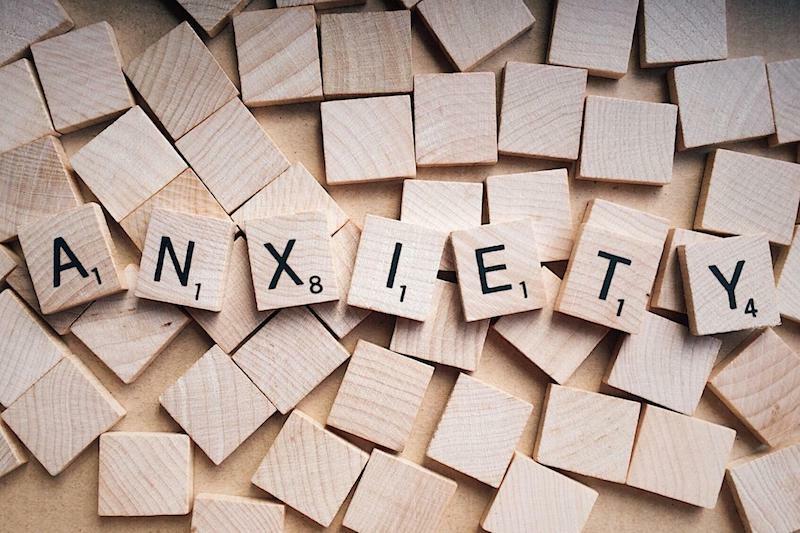 How can neurofeedback help treat anxiety? Anxiety is the result of suboptimal brainwave patterns and irregular physiological functioning. It produces an excess of high beta brainwaves that trick us into perceiving safe situations as threatening, which triggers an anxiety response. This results in an inability to think and behave logically, which in turn increases the power of these anxiety-provoking brainwaves. Neurofeedback can put an end to this cycle. The individualized neurofeedback protocol is programmed to foster the growth and connection of brainwaves that promote relaxation and inhibit these anxiety-producing high beta waves. As the brain self-regulates and begins to function in this more optimal zone, we are able to interpret situations for what they really are: non-life threatening. When our brains aren’t processing from a place of fear, rational thought can be utilized and the physiological symptoms of anxiety are reduced. Whether anxiety is experienced as a constant state of over arousal or only in certain situations, neurofeedback can assist in putting the anxiety to rest. 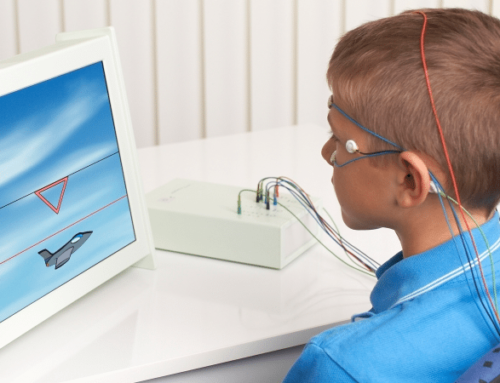 Neurofeedback results, like all forms of treatment, vary from person to person with some people noticing improvements immediately, while others require several weeks of training before noticing effects. Some people experience an “a-ha moment” while others notice gradual advances. On average, positive effects tend to be experienced in approximately twenty sessions. Often times, people with anxiety report that they first notice improvements in their sleep, as they are better able to shut off their minds and fall asleep more easily. 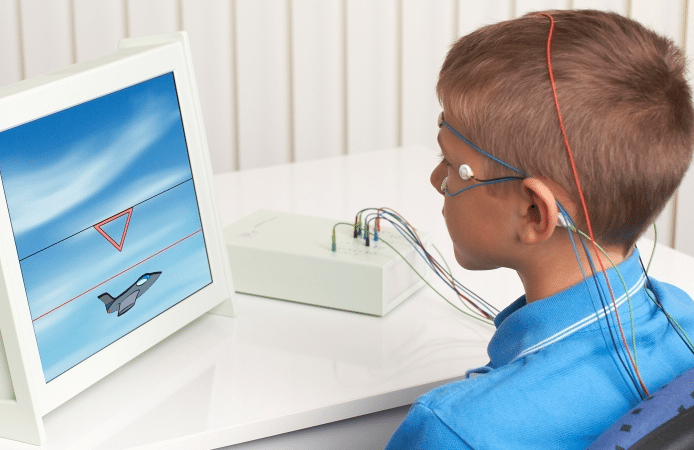 The development of neurofeedback provides an opportunity to change the way anxiety impacts us. It can once again be that adaptive, survival feature it was meant to be without infiltrating daily life.